FRENDLY & Helpful Straff, Clean bathrooms, A place I would be proud to take anyone to. Will be So Happy to be back there soon!! I was there last weekend for my birthday and I loved it! It was the first time I had ever been to a campground or a lake. I loved the lake and enjoyed the music with line dancing at night. I can't wait to go back again. Very nice and quiet, enjoyed the lake, everyone was very friendly. Going back next year. First of all may say we have been in Camp clearwater into 2 years an the staff have been amazing to always acomdate.an make sure the needs of all are taken care of .We appreciate all of you.Now we were here the week of the 4th an it was wonderful. The entertainment all day the band was great fireworks great DJ great thank you.also under new management the store an arcade is amazing. The store is beautiful an new staff are lovely people.We thank all of you for your help an kindness. I love the camp ground very friendly I just have one problem the last time I was there I was driving on my golf cart and there was a kid who looked to be around six and almost hit me he was behind me and I made a turn and he was not paying attention and he slammed on the brakes and nearly hit me. So I have one request will u make it where u have to be at least 10 to drive a golf cart here thank you. HELLO, CUSTOM U REMEMBER # 100 THIS ME DEAF PERSON AND WONDERFULLY . I WILL GO THERE SOON AGAIN ! I ENJOY LAKE AND STORE EVERYTHING I NEED . AND THANK FOR NEXT TRAVEL TRAILER LITTLE HELP ME STAR 10 AND CUSTOM CAMP CLEARWATER STAR 10 . AND LET ME KNOW BEFORE I GO THERE . GOOD A DAY AND GOD BLESS YOU AND FRIENDSHIP .. I have to say a HUGE WOW !! The upgrades to Pavilion and Gift Store are WONDERFUL... I believe that everyone should stop in and see the renovations and upgrades... Our family looks forward to other great changes !!! My family and I had a place there for 9 years and we enjoyed every minute. We had some great neighbors and made some great memories. We sold our place today because our granddaughter plays travel basketball and that keeps us extremely busy and there's not enough time for the lake!!! If you are interested in a nice relaxing, safe place...Camp Clearwater is the place to be!! We'll miss you guys!! We stayed weekend in June had a great time. Love the beach area, line dancing, and Bingo games. We rented a golf cart from Strickland's golf cart rentals to get around. This was my third time here and talked with people who had been going there for years. We loved it here and are planning on going back soon! Me and my family went down in May of this year. We had a blast the staff was so kind and the people were very nice their. Love the beach area so clean nice peers going into the water. And the water is so clear you can see a wife to the bottom. Love how it gradually drops off it's not so deep for the kids. Love the store ice cream shop everything about the place. We usually go to Myrtle Beach for vacation but we found our new place planing a Nother trip very soon. Can't wait to see that place again. 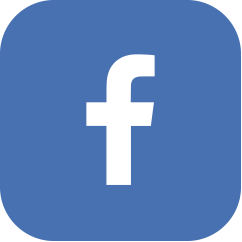 How do I become a friend on your Facebook page? Thank Fred! Excellent family camp ground. Clean, fun & lots to do. We stayed in June 2015. Very friendly staff, clean bath houses. We loved the flat terrain, my wife has multiple sclerosis but didn't have any trouble walking around. We are returning this June and bringing ffriends. See you soon. I would rather stay at camp clear water than ANY 5-star resort in these united states!! It is a very well ran place, I really like the atmosphere there. It is the best looking view on the lake. We are very fortunate to be able to partake the camp ground activities. It does bother me to see people throwing cigarette butts all over the beach area. Some days you can go out and stand and look at the amazing view and look down and that is all you see on the ground. I wish it was some way it could be controlled. My family has visited White Lake as long as I can remember. Last year my husband and I bought a camper and decided to start bringing our girls to White Lake. We started staying at Camp Clearwater, and we LOVE it! Great family place!!!! We are comfortable with our girls playing out there with some freedom. We absolutely love everyone there, great, friendly staff! Can't wait to spend another summer with everyone at Camp Clearwater! We had not been to White Lake in 30 years, so we decided to take the fifth wheel dpwn for a few days. We just left this morning after a few days of relaxing in the daily use campground area. Friendly Staff, very clean area, & everything was nice. We had a very relaxing time & enjoyed ourselves. My only complaint, while we were out walking the grass cutter decided to cut grass around camper & my truck. When we returned there was dirt, grass, pine needles, & trash all over my truck. No damage that I see,but I did not like this. The grass didn't need cutting that bad to risk damaging someones property. Several years ago my husband and I would bring out our travel trailer to Camp Clearwater. After we sold our camper we looked back on those days as wonderful so we have finally decided to purchase a place at Camp Clearwater. We are so excited. Let the good times begin! have stayed here many times....love it! love it! love it! plenty of shade...friendly staff...nice beach..clean bath house...lots of fun things to do...one of my very favorite camp grounds. My family recently purchased a place here a month ago. We absolutely love it and can't wait to return every weekend. The staff at Camp Clearwater is awesome and will always treat you with the up most respect. The vendors are glad to have your business and are very thankful to you. It's a place that I would recommend Camp Clearwater to anyone looking a place to come and relax and have fun. As a child, my husband and I both grew up spending our summers at White Lake, so we wanted to have the same memories for our kids. Since we camp, we tried Camp Clearwater a little over 3 years ago, and well we absolutely LOVE it. It truly is a place to call home. The permanent residents there are so friendly, as well as the neighboring campers. I don't worry about my kids roaming on their bikes, walking around, spending time in the arcade, and they love the DJ on Saturday nights. The campsites are easily accessible, clean, and the staff is very friendly. My kids prefer Camp Clearwater over the beach, and that says alot. It means alot to us that you all offer so many activities on site, that we don't have to worry about leaving to keep my kids entertained. Camp Clearwater is now our home away from home during the Summer & we can't wait to get back this year!! Oh I almost forgot the best part, the beach area is awesome, you can sit under shade trees on their benches, and still be able to see your kids in the water, and the sandy area is always kept clean!! I promise, if you are thinking of trying this place, do it, because you will not be disappointed!!! Apr 16, 2015 - Nichole, Ben, and all the kiddos! My husband is in the United States Marine Corps infantry he's continuously gone either deploying are in training events so our family hasn't had a lot of time to be together and enjoy our time with one another. We decided to do one last family trip before he left for an extended period of time. having a family of six it's quite expensive when we take trips. We decided to try something different together where we could spend more quality time together and less money. We Found camp Clearwater. After placing the first phone call to get information, I knew this was the place that our family would continue to go to. Ginger, Jerry and all the staff made us feel welcome and very appreciated. Upon arriving at the campground, We were welcomed with open arms not just by staff but all the people in the campground. They make you feel like you are part of their family. We only had time for one night of camping but somehow managed to stay a second night because we did not want to leave.we went fishing my 3 1/2-year-old daughter was able to catch her first fish in the lake, we spent hours playing in the water dock and sand. On Saturday night they had a dance and everybody from the campground congregated there. My older boys were able to enjoy the arcade, the food truck was amazing and all the amenities that you would needwe're right at your fingertips. I run a business and work a lot of hours, but after this trip I told the owner that I would no longer work every Saturday every single month that I would be taking one weekend off a month, To enjoy a weekend camping at camp Clearwater with my children. Thank you to everyone who allowed us to make the best memories possible together as a family. Best place I know of. Enjoy all my days there. Can't wait to get back this Friday. Just left yesterday. This park is a fun, family-oriented place. My young daughter enjoys the activities and the beautiful lake.